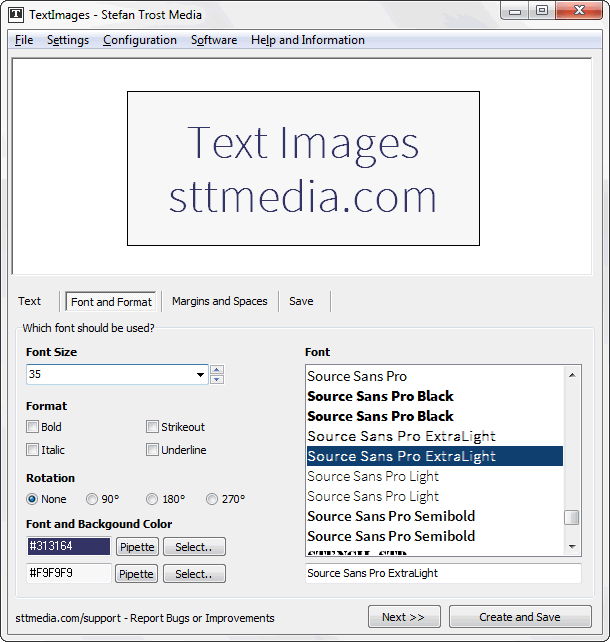 On this page you can see several screenshots of TextImages. 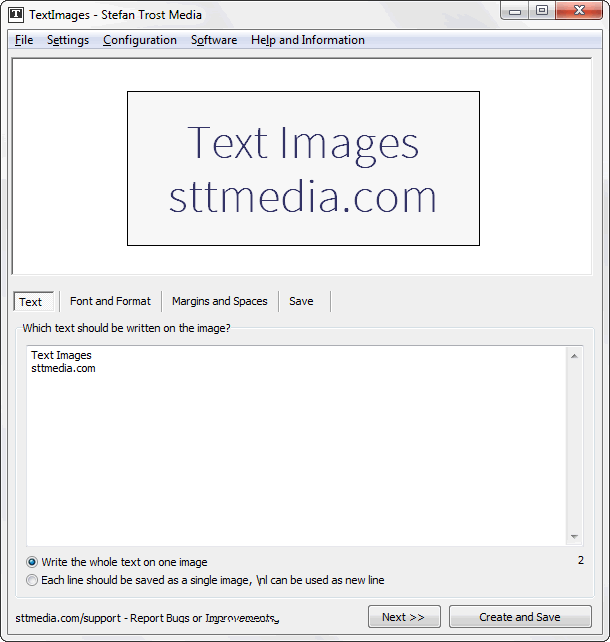 The four images show the areas text, font and format, margins and spacing as well as the memory settings of the program. On the top of the main window, you can find a preview of the current image and on the bottom, there is a box in which you can write the text, that should be written on the image. If you want to create multiple images, select the appropriate option under the box to save each line as single image. 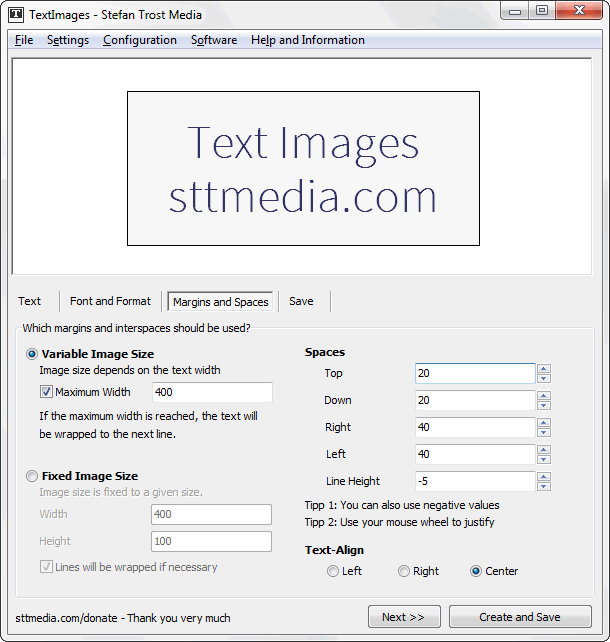 The next tab can be used to adjust the font and the format. You can see this area on the next screenshot. On the left side, you can set the font size, the style and the colors. On the right, you can select a font. On the next tab, you can adjust all settings for the image size and the spaces used on the image. On the left, you can see the possibility of adapting the image size to the text size or to use always the same image size. On the right, you can specify which distances should be used on all sides and between the lines. The line spacing is set negative, so that the lines move even closer together. Finally, on the last tab, you can specify how and where the images should be saved. You can select the folder, the file name and your desired file format. 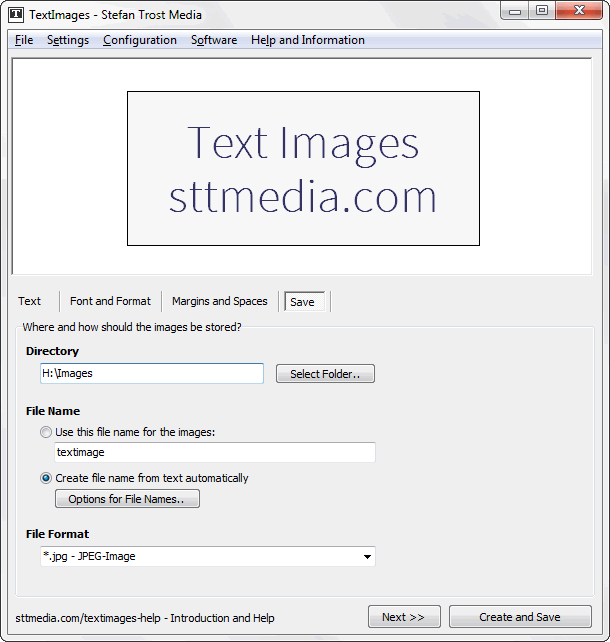 In the screenshot, the option to create a file name automatically, is selected. In the options for file names, you can specify how the automatic naming should be done. More information about that can be read on the page where all functions are explained.